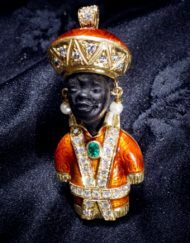 Ebony wood with snakes mounted in 18 kt yellow gold, diamond, emerald, size 4 cm – To request informations please click on “submit a request for this product” or send an email to info@webjewels.it all these jewels are exclusive products from our workshop in Venice. 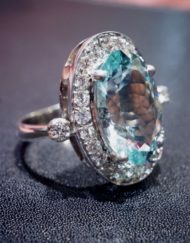 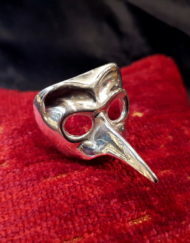 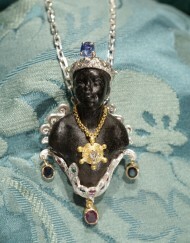 Glass paste is classical matrixes, used for the production of Venetian cameos. 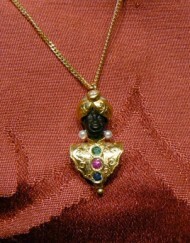 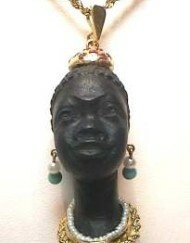 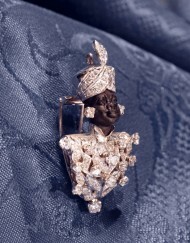 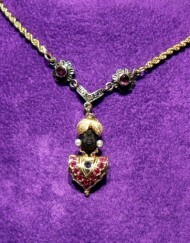 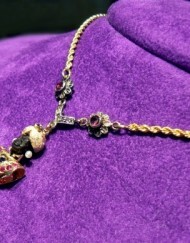 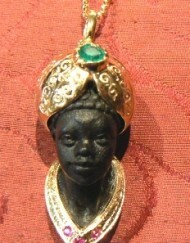 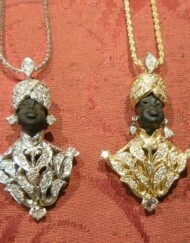 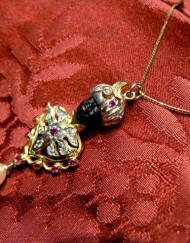 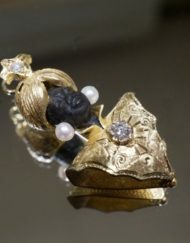 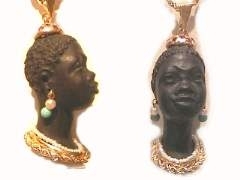 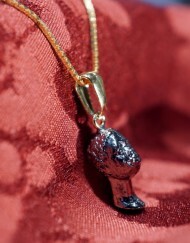 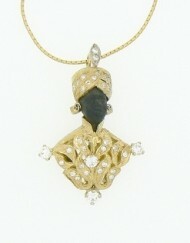 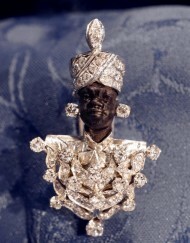 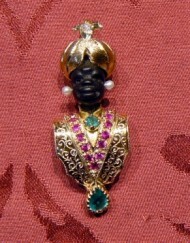 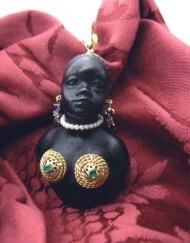 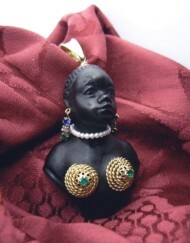 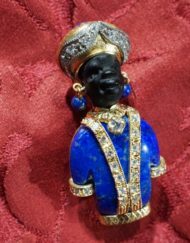 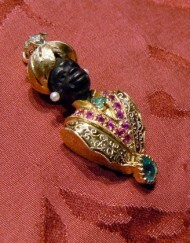 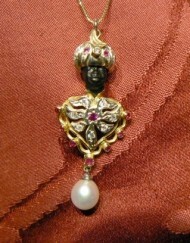 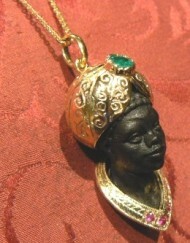 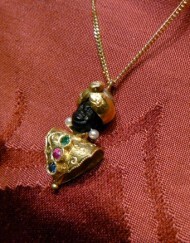 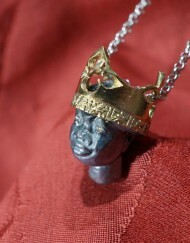 Category: Blackamoors Pendants collection. 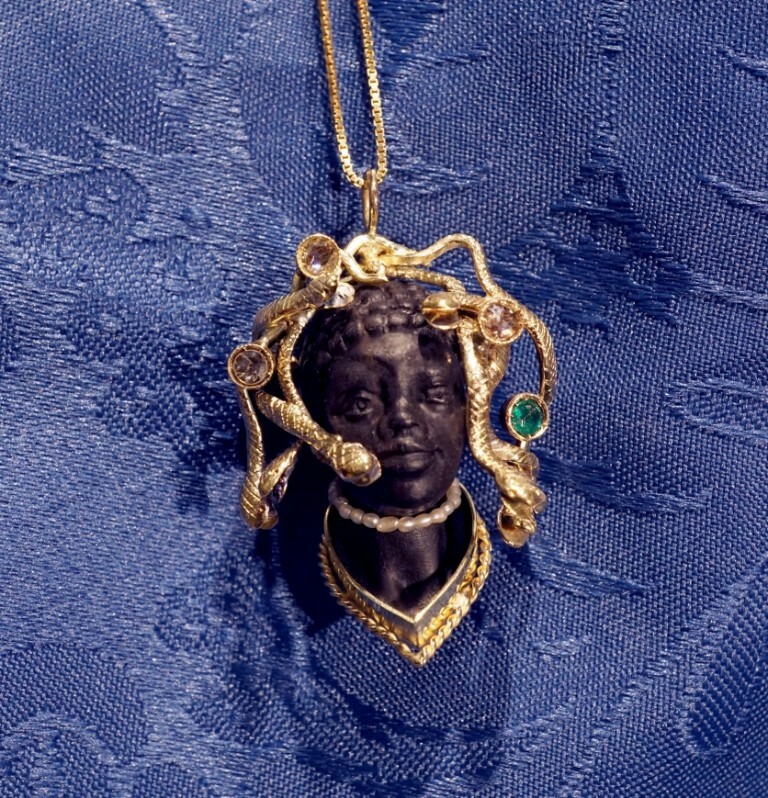 Tags: medusa, moor @en, moro @en.